Who hasn’t heard of the legendary waves at Cloudbreak, Restaurants, and Frigates, three of the best left-handers on the planet, and dreamed about surfing them or at least having a peek at the pros? Fiji’s sun-drenched islands, with their palm-fringed beaches, warm crystal-clear water, and perfect barrels peeling over colorful coral reef, make this tropical archipelago a coveted surfing destination. 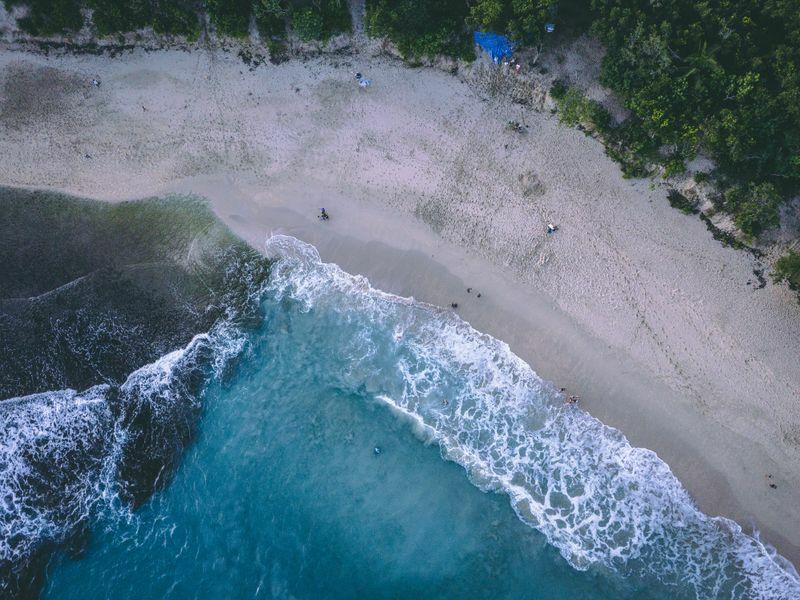 Fiji has been on the surfing radar for decades, but it wasn’t until 2010 that access to some of the surf breaks was finally liberalized. Before the Regulations of Surfing Areas Decree 2010, a number of world-class waves were only accessible to guests staying at upscale private resorts. Most of Fiji’s iconic surf breaks are located offshore and can only be accessed by boat. Furthermore, all the waves break over reefs (except for Sigatoka, the only beach break in the archipelago and quite a challenging one too). They are usually shallow, powerful, hollow, and fast, and more recommended for experienced surfers, intermediates and above. 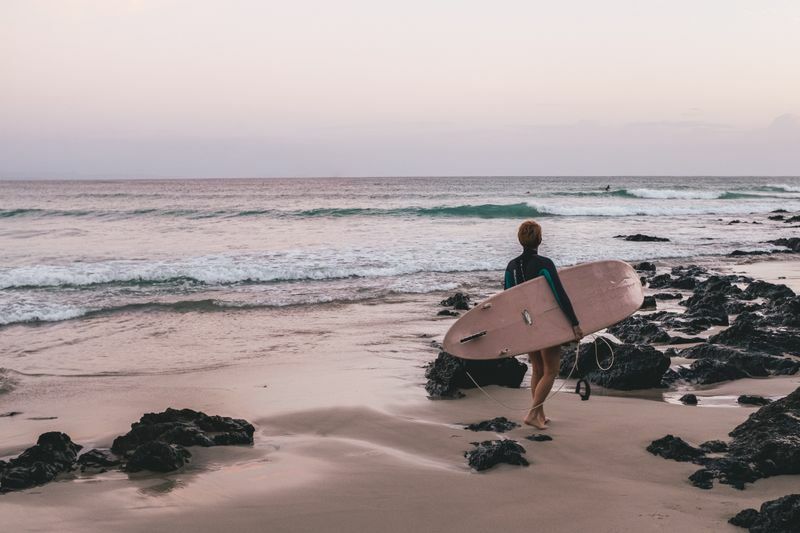 Don’t worry if you’re just starting out or don’t have enough experience yet; there are a few mellow and beginner-friendly surf spots as well. 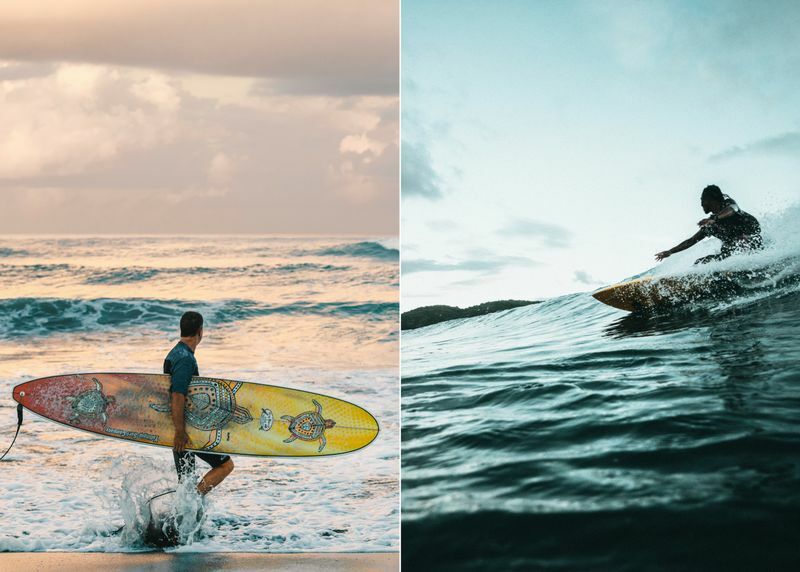 To make sure you score the best possible waves for your level, join a surf camp in Fiji that will give you all the guidance you need for an adventure-packed vacation in a tropical paradise. 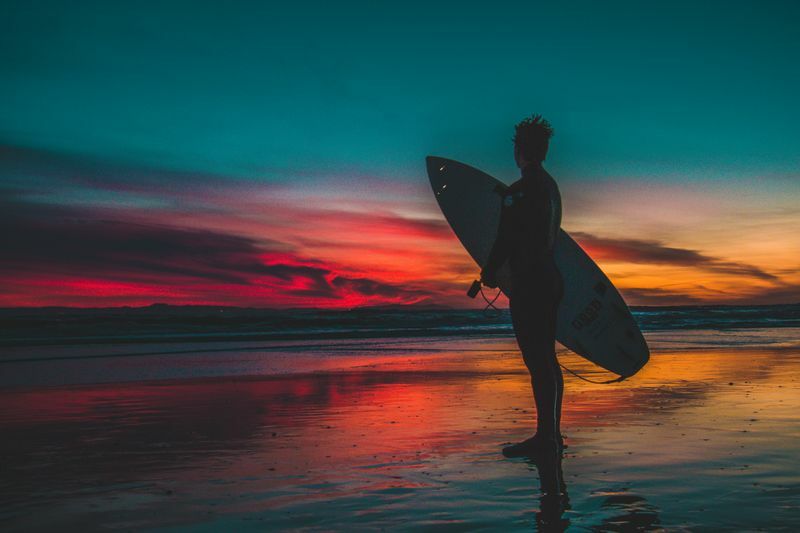 It is possible to surf in Fiji all year round, but the best conditions can be found during the Southern Hemisphere winter, between March and November. This is the dry season, and the archipelago receives strong southern swells that produce waves averaging between 2.5 and 3 meters (8-10ft). The wind tends to blow offshore most of the time but do keep in mind that trade winds usually start to blow in the afternoon and can mess up the shape. Summer (November-April) is Fiji’s wettest and hottest season. Certain spots can go flat for days, but you’ll still find some that work if there is a North Pacific swell, and they will be gentler than in winter. Therefore, summer is a good time to go if you’re a beginner. During this time of year, winds are usually calm and offshore, which means glassy waves. 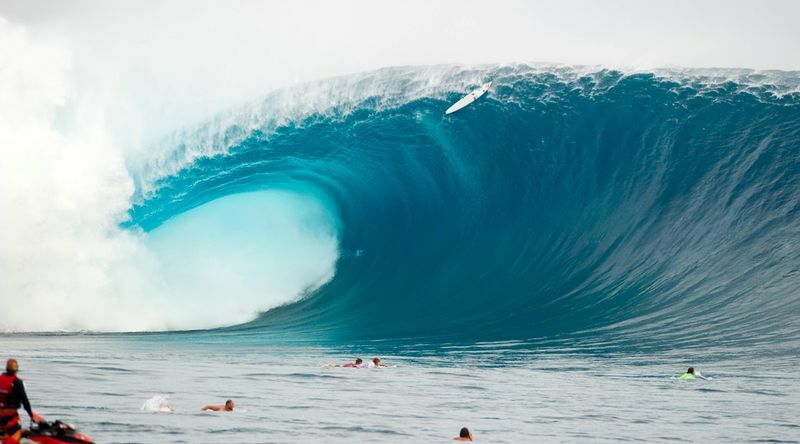 Really now, the surf in Fiji is always epic! In the Mamanuca Island group, south of Namotu Island, Cloudbreak is a world-class wave powered by the full force of the southern swells. It is the most consistent wave in Fiji, surfable at all tides and with all swell sizes. It is also the most demanding, unpredictable, and unforgiving. Often featured on magazine covers, Cloudbreak always makes it on the list of the world’s best waves. This left-hand reef break is an epic big wave spot, with consistent barrels from 0.6 to 6 meters (2-20ft). It is very hollow and breaks over razor-sharp coral, guaranteeing an adrenaline rush even for the most experienced of surfers. There was a time when only the surfers willing to pay the hefty rates to stay at the Tavarua Island Resort were able to access Cloudbreak. Thanks to the Regulations of Surfing Areas Decree 2010, all surfers now have unrestricted access to Cloudbreak and Restaurants. Off the resort island of Tavarua, Restaurants is Cloudbreak’s little brother. Less exposed and always a bit smaller, its predictable barrels make it no less fun and exciting. In fact, this left-hand reef break is often described as a “skate park in the water”. With a large swell and a high tide, it becomes fast and hollow, the very embodiment of perfection and the kind of wave that every surfer dreams of riding in their lifetime. Restaurants works best with a mid to high tide. Due to its location, it often goes flat during summer. In the Mamanuca Islands, off Tavarua, Namotu Left is a world-class left-hander that delivers set after set of long barrels and some of the longest rides in Fiji. More forgiving than Cloudbreak, with a wave size between 0.6 and 2 meters (2-6ft), Namotu Left is a longboarding, SUP, and shortboard paradise. Over 3 meters (10ft), it promises the ride of a lifetime. Across the channel from Namotu Island, Wilkes Pass is a long, fun, fast, and powerful right-hander. It draws a lot of swell from every direction and is only accessible by boat from the nearby resorts. It is not as shallow as other spots in Fiji and the take-offs are not as challenging, while the walls are quite long. Under 1 meter (3ft), it can be tackled by beginners too. This is a great option for intermediate and advanced regular footers too, as it can hold waves of up to 3 meters (10ft) or even more. Wilkes Pass works with a smaller swell too and is best surfed early in the morning with a S-SW swell. One of the few surf spots in Fiji that is recommended for beginners, Swimming Pools is a fun right-hand reef break that throws perfectly peeling barrels with a SW swell. Located in the Mamanuca Islands, a few hundred meters south of the Namotu Island Resort, it can only be reached by boat. The wave is short, but it is one of the most fun in Fiji. Its wide-open face has a steep wall, but it’s less powerful and much slower than other spots in the archipelago. With a mid to high tide, it is deep enough for beginners to feel safe. North of Wilkes Pass, Desperations is not your average reef break. The reef has a unique shape that funnels the swell into fun right and left peaks that are great for intermediate surfers and above. Desperations is a very reliable surf break that works even when the entire ocean seems flat. Of course, this means that it can get seriously crowded on those days when nothing else is working. On the Coral Coast, on the inside of Natadola Bay, you’ll find a nice shorebreak that is quite popular among bodyboarders and beginner surfers. These mellow waves break over a sandy rock and are excellent for beginners who wish to have a taste of Fiji’s waves without being intimidated by their size, power, and sharp reefs. South of Natadola, on the outside of the bay, there is a reef peak known as Resort Lefts. It needs more swell to get going and is best at high tide. With a big SW, this is a popular longboarding spot. There are two right-handers at Vunaniu, located 800 meters (2,600ft) apart – Shifties and Jay’s. Shifties is the outside peak at Vunaniu, and it is powerful, long, and big. It can be double the size of Jay’s and works with any swell size and tide. When everything else around is flat, you’ll be sure to find some waves in the 1-meter (3ft) range at Shifties. Thanks to its deep-water take-off, it is not as threatening and is, therefore, great for intermediate surfers on small to medium days. Jay’s, also known as simply J’s, is the inside peak. It is always smaller than Shifties, but it is much hollower and throws some fast, full-on barrels with a larger swell. Positioning is crucial on this one. It requires some west in the swell to run down the reef, and it is best at high tide with NE to W winds. Jay’s is for advanced surfers only. Off the southern coast of Viti Levu, Fiji Pipe is a hollow and often heavy left-hand reef break. Just as the name suggests, it can produce some mind-blowing barrels, and some even call it “mini Teahupo’o”. That should give you a clear picture! During winter, the wind blows offshore, producing some epic barrels that work best with a SW swell and a wave size of 1-2 meters (3-6ft). It is recommended at mid to high tide, as it can get really shallow otherwise. It is very consistent and can handle trade winds quite well. Fiji Pipe is a challenging wave that lives up to its name. The take-off tricky and vertical, and you must drop straight into the barrel. The barrel itself is technical, but you’ll be in for the ride of your life, as you can score 50 meters or more of pure and fast tube riding. The Coral Coast’s answer to Cloudbreak, Frigates Pass can easily rival with its Namotu counterpart when it comes to size, power, and consistency. It can handle all swell sizes and produces waves between 1 and 4.5 meters (3-15ft). When big, it’s a tricky and challenging wave. Off Yanuca Island, south of Viti Levu, Frigates is one of the longest waves in Fiji. This fast and hollow left-hander can offer rides over 150 meters (55ft), throwing perfect barrels over brightly-colored coral reefs. A longer board is recommended for the big drops. With a small to medium swell, it offers some fun rides for intermediate surfers. Above 2 meters (6ft), the barrels become more challenging, and over 3 meters (10ft), it becomes truly frightening. Frigates can get crowded with surf charters during peak season, between March and November. To the south of the archipelago, Kadavu Island requires a bit of extra work to reach, but you’ll be rewarded with far less crowded beaches and very friendly locals. 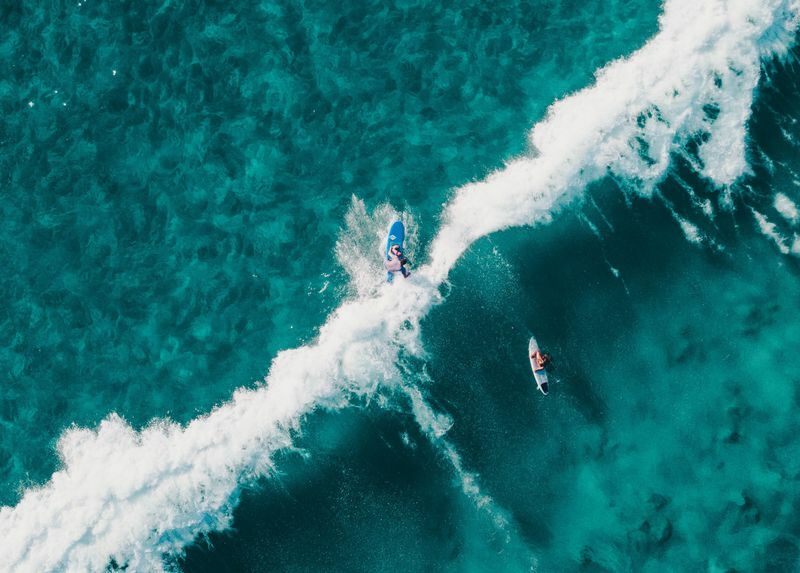 On the southwestern tip of the island, Nagigia Island Resort is the starting point for two world-class waves: King Kong Left and King Kong Right. If you’re wondering where the spots got their names from, it’s because part of the 1935 King Kong movie was filmed on Nagigia Island. On most days, King Kong Left is friendly enough for the average surfer. It has a deep-water take-off and is much safer than the waves near Tavarua. For less experienced surfers, a mid to high tide is recommended. With bigger swells, it gets very hollow and fast. King Kong Left is the most consistent wave in the Kadavu area. It starts to work with a 0.6-meter (2ft) swell, and it can hold waves over 3 meters (10ft). It has a great shape even when small and can throw some wild barrels when over 2-2.5 meters (6-8ft). On the other hand, King Kong Right is a gnarly wave that picks up a lot of swell. This one’s for intermediate surfers and above. SE trade winds can ruin it, so it’s best to go in the early morning or late afternoon. 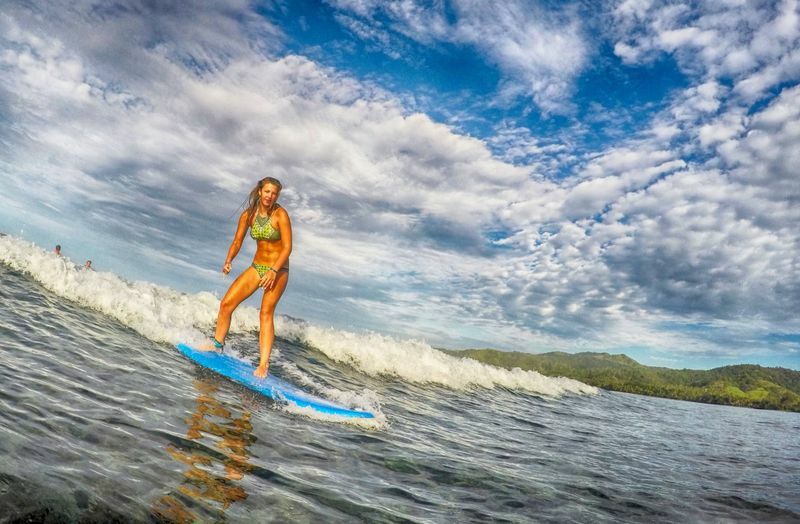 Get your tropical fix by embarking on an adventure-packed surf holiday in Fiji! 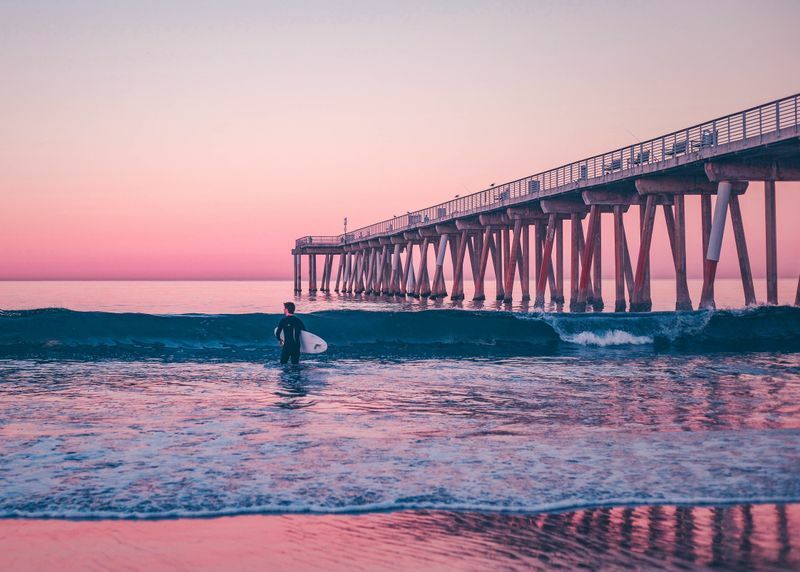 Surf camps are becoming more and more popular, but there are still some people who think that you would need to spend big bucks to go on a surf vacation or a surf camp. 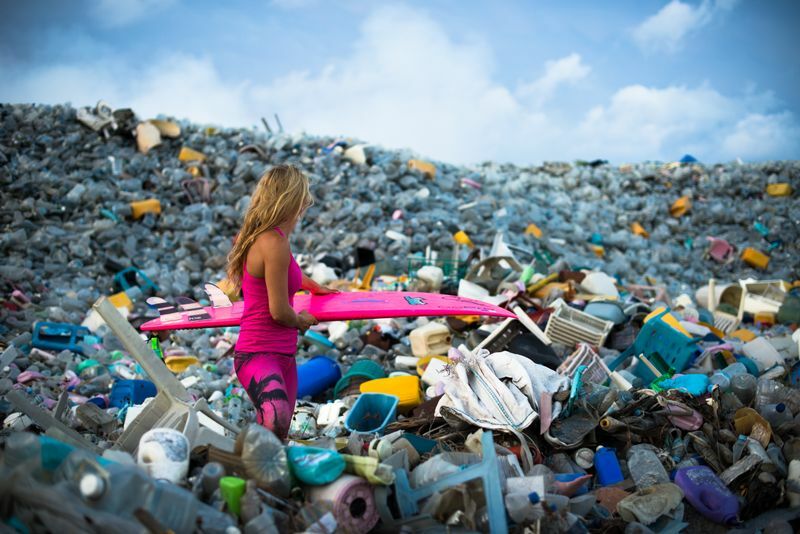 The awe-inspiring oceans we all love so much are under serious threat. The coastal environment has fallen victim to its own success. With tourism development come excessive artificial changes that are threatening this precious ecosystem.